It sounds like you already love wide leg pants—and we certainly can’t blame you. 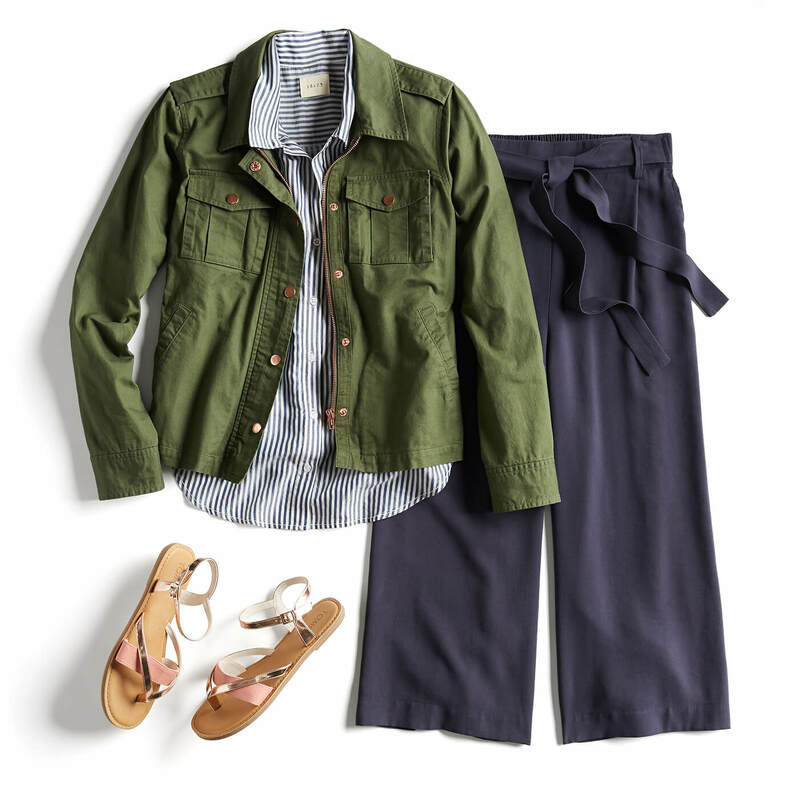 Whether your legs go on for miles or you’re petite, this ultra-comfortable and flowy fit offers fashion for meetings and mingling. If you’ve ever wondered how to rock this flowy look, take them for a test drive with these looks. See what to wear wide leg pants with! Our fashion formula for office style? Hint: it starts with flattering, high-waisted and floor-grazing bottoms. The higher rise is universally flattering and the width of the pants hemline will make your waist look even smaller. Tuck a silk tie-neck blouse or collared button-down into your pants for classy cool-girl points. Swap your skinnies for wide-leg denim and look like a jean queen. As the temperatures rise, let your hemlines do the same with a cropped version of your favorite wide-leg denim. Remember to keep things in proportion. When your bottoms flare, opt for a top that hugs your top half. Try a high neck halter or button down with embroidered details and a casual tie-front knot for a trendy twist on a classic style. When the forecast calls for higher temps, double check your tags for materials that allow airflow. Billowy cotton or linen pants offer breathability, fashion and function all in one. Try breezy beige or olive bottoms with slip-on sneakers or slides.